Tired of using search engines and massive jobs sites to find a job? 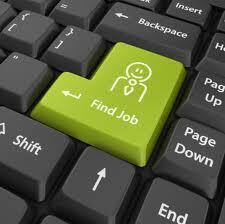 Wishing you could find great job opportunities a little easier? Join the club! I have been utilizing social media tools for job searching quite often lately because they help bring possible jobs right to your fingertips rather than searching for hours. A. Google Reader and Google Alerts: Not only is this tool great for subscribing to blogs, but it can help job seekers subscribe to job listing by keyword and position. This way you aren’t doing a Google search everyday for the same type of position, but the search findings are delivered to your Reader or your inbox. Convenient, easy and free. (1) Utilize the Twitter reader Tweetdeck to keep tabs on job postings via job related search terms. (2) TwitJobSearch: A search engine that aggregates job listings and posts on Twitter. (3) There are specific people who post about jobs frequently. Find those in your neck of the woods that do so, follow them, create a conversation so you can build a relationship and seek help from them when needed. (4) Follow the brands and places of business that you hope to work for. Engage with them, so you have a basis to show your deep interest before, during, after you have applied to work there. (5) Twitter Advanced Search: A great way to search on the platform you already utilize and dig deeper into the job postings that are on Twitter in the past few days. You can do so easily by using hashtags (keywords that people add to their Tweets), search terms, etc. Also helpful to make sure you click “contains links” when deciding on your search, because job postings are more helpful when they click a link to the website posting. Want to know more…check out the quick 3 min video below by Mashable. Note: Please remember to not spam when looking for a job on Twitter. It’s clutter and people won’t “listen” to you. (1) Use the 120 character headline to your disposal. Say something unique and catchy for when prospective employers check out your background. Nowadays your LinkedInprofile is virtual resume and pertinent to be updated frequently. (2) Use the 3 “hot links” to your benefit. If you have a blog, link to it! Have a great profile on another platform? Link to it! Show your personal brand off! (3) Use the job search and when you find a job that interests you, find someone in yourLinkedIn network that could recommend you. Network, network, network — the people you know are your biggest asset. D. Facebook App – BranchOut: Like the appeal of people you know being able to recommend you? BranchOut is awesome for this. Although I am not a fan of usingFacebook apps often, this one is pretty handy.When you search for a job and click on a position you may be interested in — BranchOut shows who you know that can recommend you to the job. How much easier can it get? Dig it! E. Email Signature: Use WiseStamp to add your links from other social platforms in order for people to find you more easily. Emailing with a HR person at your possible future job? Now they can see how to link to your blog, website, LinkedIn (and more) at the click of a button via your email. Very convenient! F. Blogging: Are you looking into a specific niche/industry? It could be helpful to start a blog on the topics of interest. Therefore, when the hiring manager takes a look at your background and Googles you (which they will do), and sees your blog, he/she will realize you are not just knowledgeable about this industry, but passionate about it too. It is important to manage your online presence and having a blog is a great way to demonstrate your expertise on the content. You can become an individual not only worth hiring, but a must hire. As always, if you have other tools that you utilize to make job searching easier, please feel free to share. I, as well as my fellow readers would love to learn more tips and tools. And in the meantime, check out my Toolkit for your convenience. This entry was posted in Social media at work and tagged Branchout, Facebook, featured, Google Alerts, Google Reader, linkedin, Mashable, oneforty, tweetdeck, TwitJobSearch, twitter, wisestamp by Pam Sahota. Bookmark the permalink.